The most versatile remote start product on the planet! All are ECHO compatible which means even the 1-way systems can be upgraded to 2-way with our ECHO 2-way kits. So you can get it now, or get it later! And, all are compatible with our CarLink Smartphone interface! Choose a model below to learn more about how it can ehance your vehicle experience every day. It's the convenience and protection you and your car truly deserve! 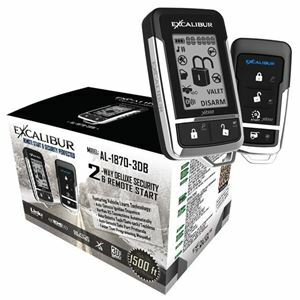 AL-1870-3DB - Deluxe LCD 2-Way Vehicle Security & Remote Start system with up to 1,500 feet of range. 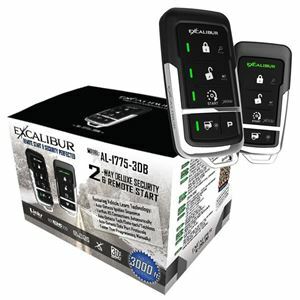 AL-1775-3DB - Deluxe LED 2-Way Vehicle Security & Remote Start system with up to 3,000 feet of range. 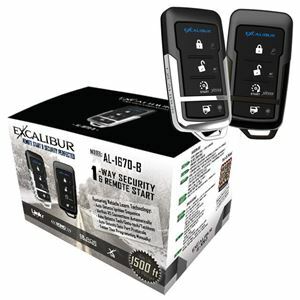 AL-1670-B - Deluxe 1-Way Vehicle Security & Remote Start system with up to 1,500 feet of range.